You may remember celery as that tasteless, watery vegetable we used to load Craft peanut butter on to when we were kids (you may still). Well, the crunchy green vegetable has never been more popular in the form of pure celery juice. As one of the top anti-inflammatory foods, why are we shocked that it graces most of our Instagram feeds? 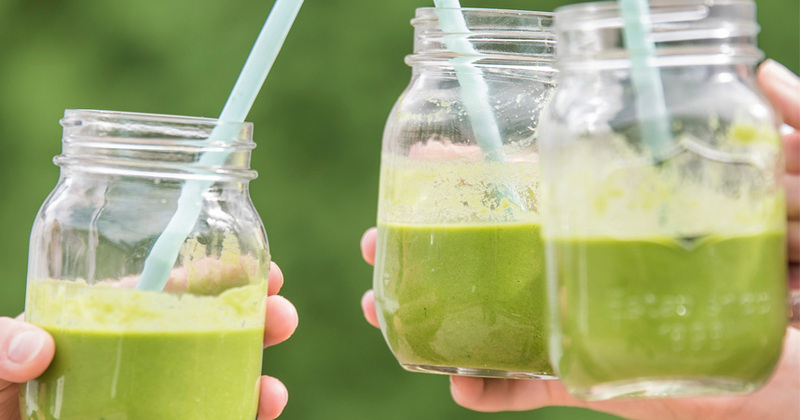 From Hailey Baldwin to Pharrell Williams and basically every health and wellness influencer, celery juice is being guzzled by the litre and we are asking, is it worth the hype? First of all, what is celery and what are its nutritional benefits? According to Goop and medical medium Anthony William, celery juice is a miracle juice. Williams says it is best to drink celery juice solo, meaning don’t add anything else, not even a squeeze of lemon! If you drink your celery juice first thing in the morning, it will also strengthen your digestion of the foods you eat for the rest of the day, Williams said. Celery, as a whole, is packed full of antioxidants that protect us against unwanted oxidative damage to our cells, blood vessels, and organ systems. It also has major healing potential and Williams claims just half a litre a day can be your greatest healing tonic. When celery is juiced, the pulp (fibre) is removed, and its healing benefits become much more powerful and bioavailable, especially for someone with chronic illness. You’ll also be able to consume far more celery as juice than you would by eating it, Williams states. When juiced you are able to receive celery’s concentrated undiscovered cluster salts which act as a unique and special way to support the liver and to remove old toxins and poisons (think: toxic heavy metals, toxic chemicals, like pesticides, air fresheners, detergents, petrochemicals, and preservatives) and help flush them from the liver. Williams says, these cluster salts quickly rebuild your hydrochloric acid so that your stomach can break down protein. If protein isn’t broken down properly, it will cause gut rot and bloating (read: juicer ordered). “Where can I buy celery juice” you ask? Most fruit bars, cafes and health food stores with kitchens should be able to juice you a pure celery juice or if you have a juicer, why not make your own? Note* If buying and juicing celery yourself make sure to buy organically grown (pesticide-free) celery. Feeling inspired to reap the benefits of celery juice? Give it a green go and then read up on how these 5 recipes can enhance your yoga practice.